WASHINGTON — While a recent agreement signed between the United States and Brazil has been touted as enabling American launches from a Brazilian spaceport, the agreement’s biggest effect may be on other aspects of aerospace cooperation between the two nations. This is not the first time the two countries signed such an agreement. A TSA signed in April 2000 failed to take force when the Brazilian Senate refused to ratify it, citing concerns about a loss of sovereignty at its spaceport because of the restricted access Brazilian officials would have to American vehicles and equipment there. Officials are more optimistic that this TSA will win ratification. 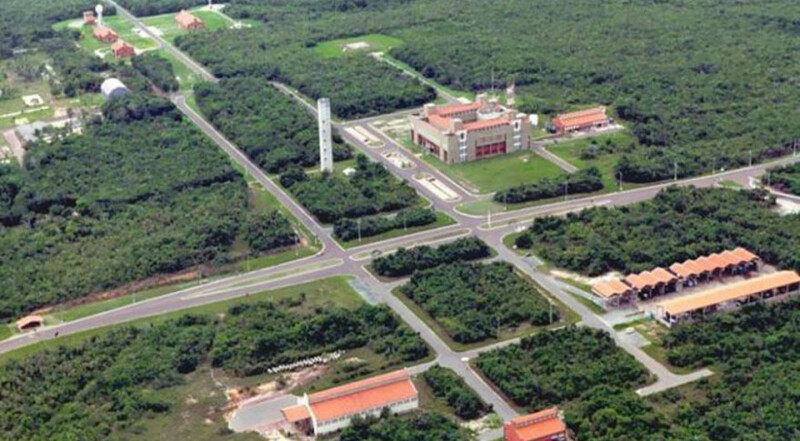 The TSA would allow American companies to export launch vehicles and related systems to Brazil for launch from the country’s Alcântara Launch Center, a spaceport that has long appeared desirable to launch companies because of its location about two degrees south of the Equator. The site, though, has yet to host a successful orbital launch. “Brazil’s proximity to the Equator makes it an ideal launch location,” President Donald Trump said in remarks with Bolsonaro during a joint press conference at the White House March 19. Strictly speaking, launches from sites near the Equator, like Alcântara, are not shorter, but are able to place heavier payloads into orbit because of the higher rotational velocity of the Earth near the Equator. That effect has, in the past, driven projects like Sea Launch, which transported a mobile launch platform to the Equator in the Pacific because of the boost in payload capacity it provided to its Zenit-3SL rocket. While Alcântara may be a desirable launch site from an orbital mechanics perspective, it has struggled to attract customers. Brazil developed the site for its own small launch vehicle program, VLS, but that program was cancelled after two failed launches in the late 1990s and a third vehicle that exploded on the pad during pre-launch preparations in 2003, killing 21 technicians. Brazil later entered into a joint venture with Ukraine to launch Ukrainian Cyclone-4 rockets from Alcântara, but ended that in 2015 after financial and technical problems. The Cyclone-4 is now being considered for launches from a proposed launch site in Nova Scotia, Canada. Brazilian officials have claimed that several American companies are interested in launching from Alcântara. The only company that has publicly said it’s considering the site is Vector, a small launch vehicle developer who has yet to attempt its first orbital launch. “We are excited for the possibility for both polar and equatorial launches out of the same site as well as the opportunity to grow our anywhere, anytime launch approach,” the company said March 19. Several factors could work against Alcântara, including available infrastructure, logistics, operating costs and regulatory issues. In addition, with growing demand for remote sensing and broadband constellations that require satellites in high-inclination orbits, and a continued depression in geostationary orbit satellite orders, a site near the Equator is no longer as advantageous as it once was. One U.S. government official said the value of the TSA may not come from allowing American launches to take place from Brazil but from other forms of cooperation between the two countries.